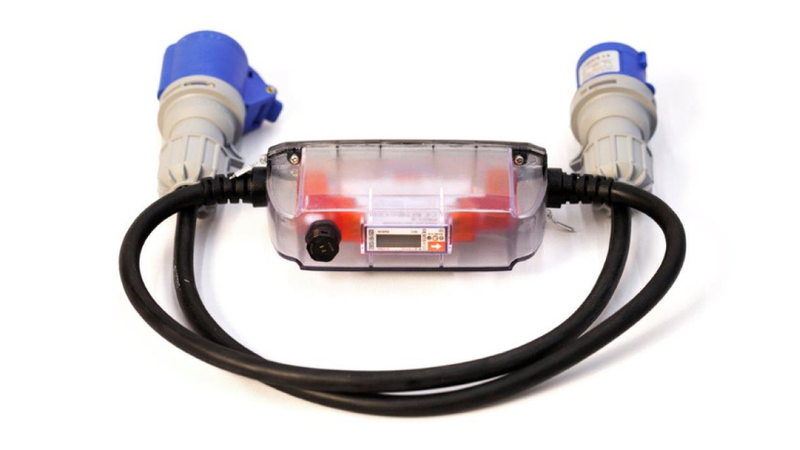 Homepage>Exhibitors & Products >PRO Flex MID "incable meter"
just "plug in and read out"
How do I monitor the energy usage of a camper, boat, post? Or how do I measure several different users at a limited time span on a market or exhibition centre. If you face these kind of questions and you don&apos;t want or can&apos;t afford putting down a costly infrastructure per location, the PRO-Flex is our solution for you. Moreover, the PRO-Flex does not only allow to measure the energy usage, but is approved to bill the (end)-users. Finally, the PRO-Flex has a solid casing (IP-54 for the casing and IP-44 for the cable). Therefore the meter can be used in- and outdoor.